In the Autumn of 1996, in Mogilev Belarus, the dawn of Asguard was born with original members Afonchenko Alexander, Tselobenok Andrey and Krotov Alexander. The composition of band was almost in tact with the exception of a key element on drums. A spot which would soon be filled by the young and skillful Tselobenok "Dead" Sergey. With all the members in place, the guys chose the name Ancient Castle. It would be two cold years before they changed their name to Asguard and the recording of their first demo In the Darkness of Night was laid to tape. In the process, "Dead" Sergery would leave the band and Yurchenko Yuriy filled the void. Not unlike any other young bands, members come and go before the true foundation is set and Asguard was no different when founding member Alexander Krotov also left only to be replaced by local talent Maslakov Oleg. After the release of their demo and playing a slew of local gigs, the band caught the attention of local Belarus metal label Fatal Ecstasy Productions and the demo was officially released throughout Eastern Europe. The band received critical acclaim and was soon asked to tour throughout the country with bands Sanatorium, Neglected Fields, Rossomahaar, Mental Home, Vader, Behemoth and Mayhem. 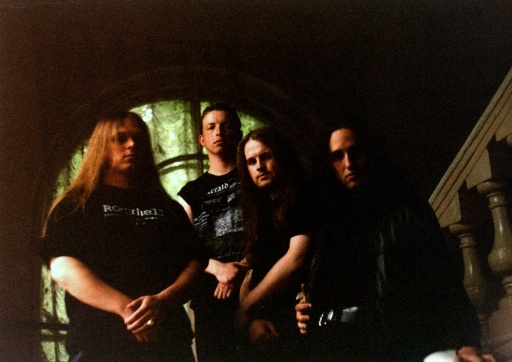 Then in late 1999 and into early 2000, the band had written and recorded their first official debut entitled Summis Desiderantess Effectibus for the Ukraine label Bloodhead Productions. Soon after the EP Wikka followed and the band began to develop an incredibly loyal and massive following that garnered them National attention. Soon, Asguard find themselves back on the road with Hate, Nomad, Dementor and once again with Vader and Behemoth playing in front of thousands of adoring metal fans. The band finds themselves playing in stadiums and giant concert halls once reserved for bands like Iron Maiden, Judas Priest and the like. 2002 through most of 2003, Asguard begin to see themselves as big fish in a little pond and make the decision to expand their reach and do so by signing an exclusive recording deal with Devil Doll / This Dark Reign. Until then, the band had only seen record sales and concert attendance in Belarus, Russia and smaller Eastern block countries. Then, in 2004 with the release of Black Fire Land, Asguard finally struck a new note within the metal world and they have been blazing a fiery path ever since. Heavy hitting metal magazines like Revolver, Terrorizer and Kerrang! are giving them high marks and high praise and comparisons for their International debut. Currently, Asguard are back in the studio recording their next record entitled Dreamslave for TDR and the International reissue of Wikka will also be released before the end of 2004. Both albums are expected to reach the tens of thousands in sales and the band will begin touring outside of their normal area and into the rest of the European territory eventually touching down in America where there will be no stopping this incredible metal behemoth known as Asguard.